I discovered I was one of "them" and didn't even know it! Yes, I used to be able to comment on blogs and have blog owners reply back to me in email .... and then I was mysteriously switched over to a "NoReply-commenter" without my knowledge. For the past month or so, I couldn't figure out why no one was replying back to me via email on my comments. I felt so lonely. I also noticed some of my normal commenters to whom I was previously able to reply to on their comments, were now switched to the dreaded "NoReply-commenter" email address. What in the world?? Anyway - I decided to nix Google Plus (since who knows what it's for anyway?! I just want to blog, that's all). I went into going into my blog settings and chose "Revert back to old blogger". So long Google Plus! Once I did that, I had to re-add my email in settings (show email), and now it appears I am not longer banished to the lonely world of "NoReply-commenter"
If for some reason, you are enjoying all that Google Plus has to offer, then I saw another way you can get back your reply-commenting status. You can go back to old blogger like I did... then add & show your email in settings... then upgrade back to Google Plus. That is supposed to work too for some reason. Everyone should check this if you like getting replies on your comments! I for one enjoy replying back to my followers via email - it's more personal that way (at least I think so!). And Hey, I love getting replies back on my comments too, let's face it! HERE is a link to a blog that has screen shots explaining how to revert back to blogger from Google Plus. I, of course, totally forgot to take screen shots while I was doing it. Spring is coming. We got a taste of spring this past weekend finally. It melted all the snow from Friday's snowfall luckily. 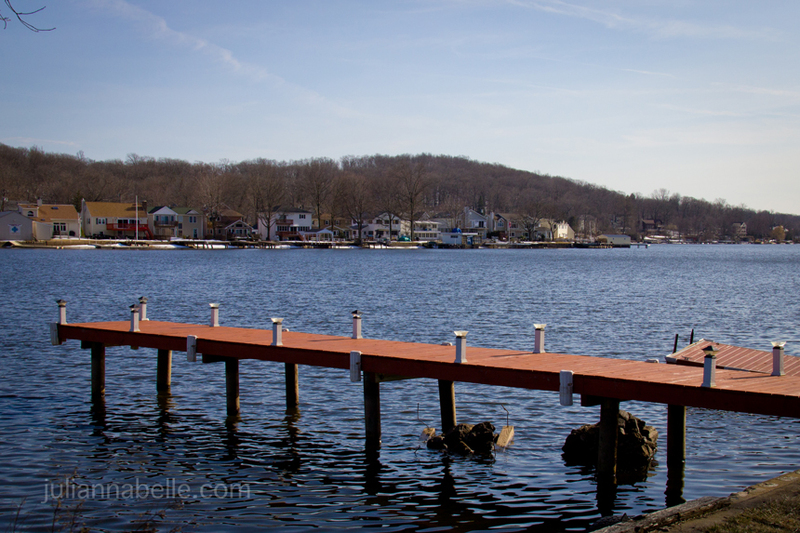 I couldn't help but take a couple photos of the lake (Lake Hopatcong) on Sunday. It looks so peaceful now, but in a couple of months, it will be jam-packed with tons of boats, jet skiers, swimmers and kayakers! I for one, can't wait! 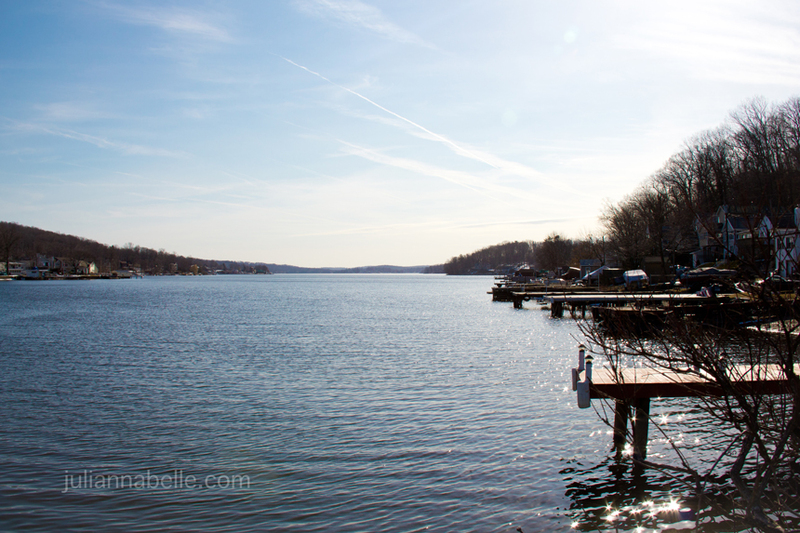 These shots are not part of the main lake; this is looking out into Hurd Cove which leads into Woodport bay. Hmmmm, I'm going to have to check out what you posted. I've been without a laptop for a little while, so I'm behind on blogging, BUT I did finally get a new one so I hope to catch up! BTW. Thanks for pointing this out!